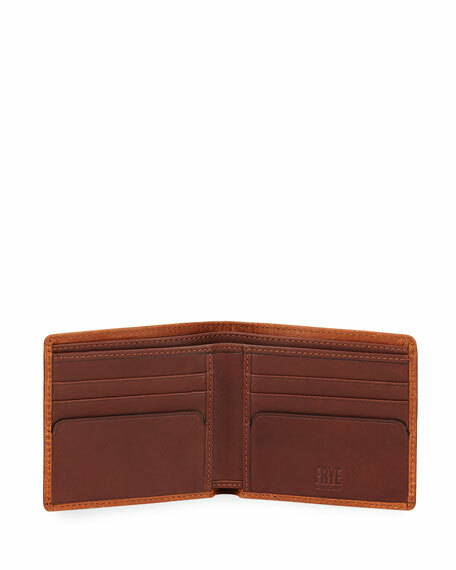 Frye "Oliver" bi-fold wallet in vintage calf leather. Frye logo embossed at outer corner and interior. 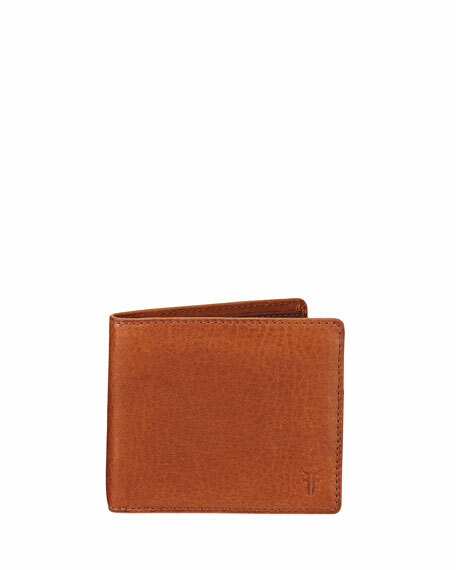 Inside, two bill slots, six card slots, and two slip pockets. For in-store inquiries, use sku #2438716.